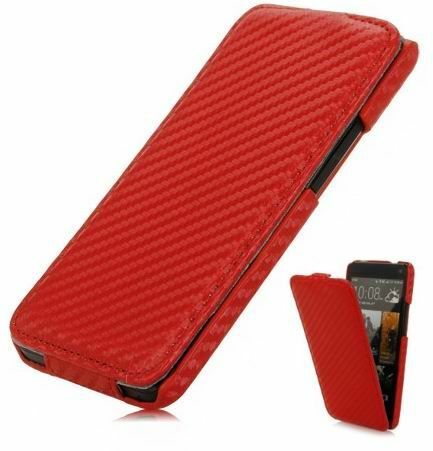 Give your precious HTC One all-around protection with this sleek Carbon Fibre designed leather flip case. This protective case is made from high quality leather material to provide protection against unsightly scratches or surface damages on your phone. It perfectly fits your phone so it will not slip-off even on daily use whilst its Carbon Fibre design gives your phone a rugged and stylish look. The rounded edges avoid sudden impacts and bumps from damaging your phone.